This trademark lawsuit involves fresh fruit arrangements cut to look like flowers. Plaintiff operates under the EDIBLE ARRANGEMENTS mark while Defendants offer similar goods under the EDIBLE CREATIONS mark. Plaintiff has also opposed Defendants’ federal trademark application, which was refused when Defendant failed to respond to the opposition. Plaintiff is a custom guitar-maker from Fort Wayne, Indiana. He has sold his high-quality guitars under the registered STRATOTONE trademark since 2007. Plaintiff’s high-end guitars are “painstakingly hand-crafted from the wood of a customer’s choosing and features vintage hardware and pick-ups.” They generally retail for above $1,250. 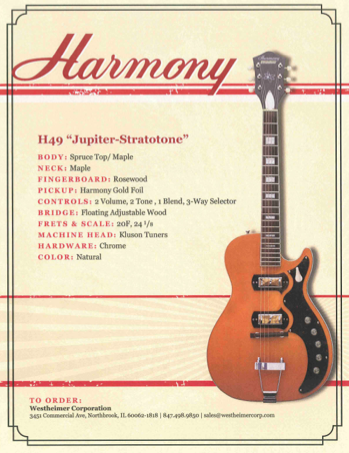 Defendant has allegedly flooded the market with lower quality, cheaper (between $200-400) guitars that bear the STRATOTONE Mark. Plaintiff discovered the infringing products at a NAMM show in 2010, where he confronted Defendant’s personnel. Defendant, based in Illinois, attempted to file its own trademark application for STRATOTONE in December 2012 but was rejected based on Plaintiff’s registration. In response, Defendant has attempted to cancel Plaintiff’s registration and Plaintiff has brought this lawsuit. They’re back! Just when you thought the BitTorrent download cases had stopped in Indiana, Nicoletti is back with a new lawsuit involving “Charlie Countryman,” a film starring Shia LaBeouf, Rupert Grint and Evan Rachel Wood. The film was released November 15, 2013 in the United States to largely negative reviews. Having failed at the box office, the producers have apparently turned to lawyers to recoup some of their costs from the 16 Hoosiers unlucky enough to have (allegedly) downloaded the film.